At one point in history all beer was wild and sour beer. 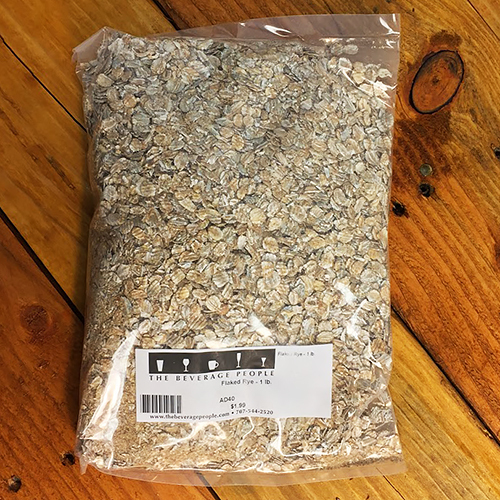 In the absence of the knowledge and ability to conduct saccharomyces exclusive fermentations or sanitize cellaring vessels, the souring of beer was an inevitability. As the technology emerged to establish and maintain sanitary brewing practices, breweries began to drop many of their traditional practices in favor of more consistency and predictability. Beer drinkers quickly clamored for this new sweet (so far as it wasn’t soured) beer, which only furthered the abandonment of traditional sour beers. Until relatively recently, sour beers were relics which could only be found in a handful of towns across Belgium and Germany. 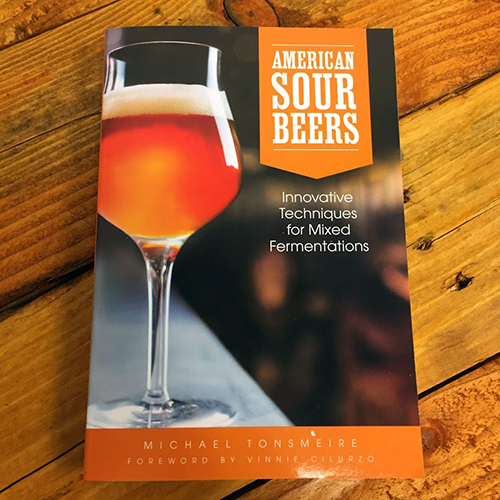 The past ten years have seen a renaissance in sour beer brewing and consumption, both commercially and on the home brewing front. Brewing and cellaring sour and wild ale at home is an immensely satisfying experience which can yield spectacular beer. 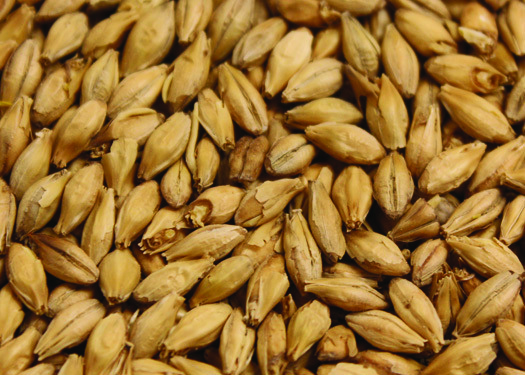 The production of sour beer does come with some risk for contamination of non-sour beers. But if you are currently able to consistently brew beer without contamination, you are already equipped to avoid cross contamination from brewing your own sour beers. The key extra step in the prevention of cross contamination is the dedication of a set of plastic equipment, such as hoses and racking canes, to sour beer production. Standard practice is to use older items for sour beers and replace with fresh equipment for use with non-sours, color coding items using colored masking tape is a smart added layer of insurance. Glass, stainless, or items used in wort production don’t need to be quarantined as they can be adequately sanitized or won’t come in contact with sour cultures. Sour and wild beers result from complex fermentations involving a range of both fungi (yeasts) and bacteria that work in tandem to create the funky, fruity, and sour flavors associated with these beers. There are three major players in sour beers: yeasts, lactic acid bacteria, and acetic acid bacteria. 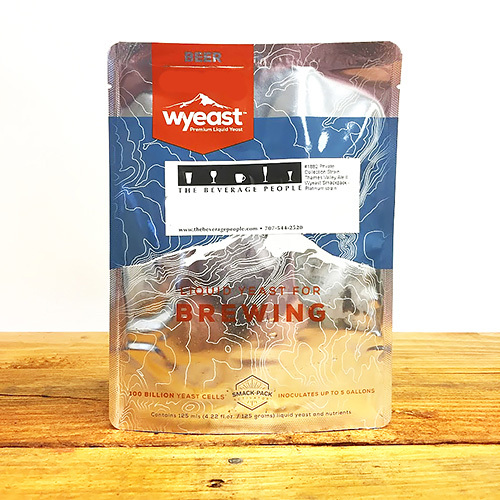 The brewer’s goal is striking a pleasant balance between yeast and lactic character while minimizing the influence of acetic acid bacteria. Maintaining aging temperatures around 70˚F. is ideal as it will favor the growth of lactic acid bacteria over acetic acid bacteria. A critical factor influencing the growth of these organisms, and therefore the final balance of the beer, is the ingress of molecular oxygen into the fermenter during aging. The goal is a slow trickle of oxygen that allows yeasts to remain active but not so much that lactic acid production is slowed or acetic acid production is encouraged. This can present challenges at the home brewing scale as surface to volume ratios are working against us. For example, a well sealed 5-gallon glass carboy sees double the amount of oxygen pickup as an 80 gallon wine barrel over the course of a year, according to Russian River Brewing Company's Vinnie Cilurzo. This creates the need for a strong yeast pellicle which will blanket the top of the beer and scavenge oxygen. A pellicle is a microbial raft which floats on top of sour beer, acting as a protective layer. The presence of a pellicle does afford some degree of flexibility in terms of head room within the aging carboy and a 6-6.5 gallon carboy should be used when oak cubes and/or fruit are going to be added during aging. Pellicles can vary drastically in appearance with colors from grey to pink and textures from chalky and flat to creamy and brain-like. In sour beer brewing, ugly is often beautiful. Above are two examples of how pellicle formation can look. Saccharomyces cerevisiae: Cultivated or native yeasts which are the main actor in nearly all primary fermentations. Contribute little to the final character of wild and sour beers. Brettanomyces: Also cultivated or native yeasts which can contribute a broad range of flavors such as spicy, fruity, barnyard, and earthy. These yeasts are the source of much of the complexity in the final beer. Brettanomyces also contributes to pellicle formation. Kloeckera: Another pellicle forming yeast which is native and not cultured, may enter beer from the addition of bottle dregs*. Generally contributes spicy, earthy, or savory notes. Lactobacillus: The cultured organism responsible for most of the tang in most sour beers. Relatively slow in action and produces a clean sourness. 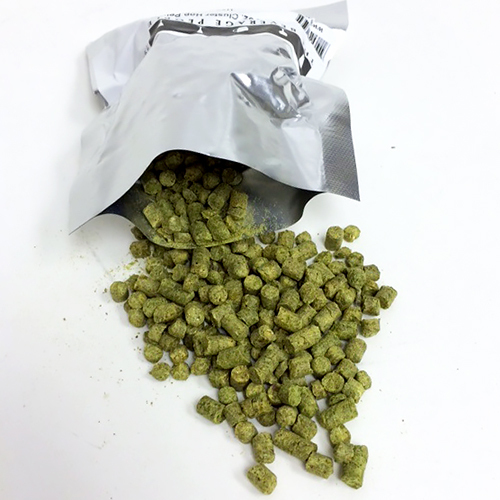 Most strains will be inhibited by hop levels over 10 IBU. Pediococcus: A native bacteria which contributes a slightly more complex lactic sourness than lactobacillus. Can generate polysaccharides which give a slimy or ropy mouthfeel, brettanomyces will generally break down these polysaccharides in a few months. Also inhibited by hop levels over 10 IBU. Acetobacter: An acetic acid producing bacteria responsible for vinegar flavors and aromas. Undesirable in sour beer but generally present in low levels. The growth of acetic acid bacteria is encouraged by oxygen and warmth. *Dregging: This is one of the really fun parts of sour beer brewing as it requires drinking beer! Any time you crack open a bottle of sour/wild ale, you have a chance to harvest the blend of microbes that went into making that beer. So if you drink something that you really love, I highly encourage you to save the last ounce or two of that bottle, give it a couple strong swirls to loosen the bugs stuck to the bottom and pour this slurry directly into your aging carboy. This recipe is on the simple side and makes a great base for experimentation with fruit, oak, and bottle additions in the aging carboy. 2 oz. French Strisselspalt or German Spalt @ 10 mins. Perform a single infusion mash at 154 F for 60 minutes. Run off enough wort to net 5 gallons after a 90 minute boil. Boil for 90 minutes, adding hops at the last 10. Cool to 78˚F. and pitch French Saison. When primary ceases, transfer to a glass carboy and pitch Roeselare or Lambic blend along with any fruit, and oak you desire. Age for 5-12 months, adding bottle dregs in the first few months. Once final gravity has stabilized and desired tartness is reached, bottle in heavy glass with 1.25 oz. of priming sugar per gallon (gallons which make it into your bottling bucket) and 5 grams of Prise de Mousse Champagne yeast. 2 oz. French Strisselspalt or German Spalt @ 10 min. Perform a single infusion mini mash at 154˚F. for 60 minutes with the pilsner malt and flaked rye. Boil for 90 minutes, adding hops at the last 10. Top up to 5 gallons and cool to 78˚F., pitch French Saison. When primary ceases, transfer to a glass carboy and pitch Roeselare or Lambic blend along with any fruit, and oak you desire. Age for 5-12 months, adding bottle dregs in the first few months. Once final gravity has stabilized and desired tartness is reached, bottle in heavy glass with 1.25 oz. 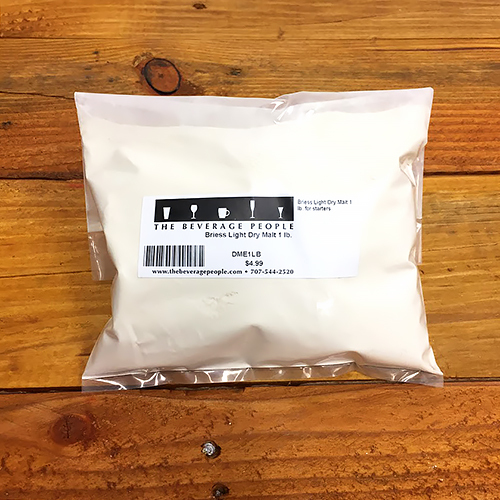 of priming sugar per gallon (gallons which make it into your bottling bucket) and 5 grams of Prise de Mousse Champagne yeast.